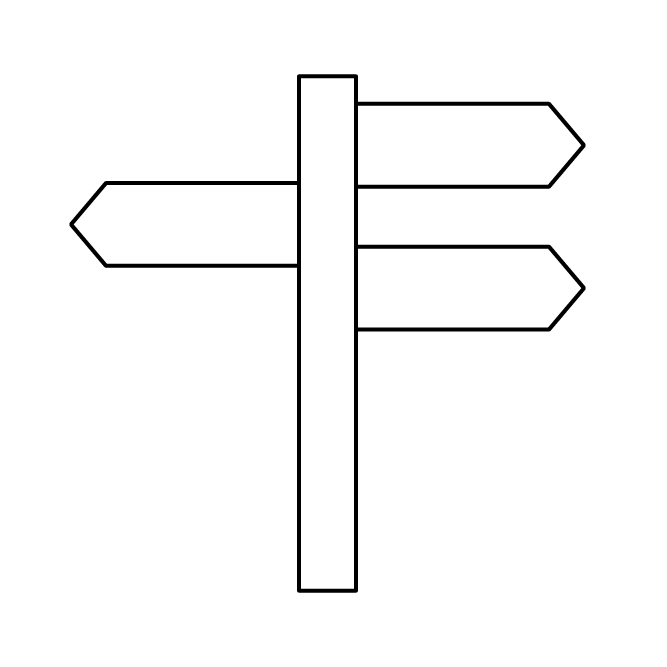 Which advertising platform is right for your campaign? We live in a digital age and the technological advancements which we have seen over the past 10 years have created unprecedented changes in way that we live our lives. You only need to consider the fact that Amazon Prime can now deliver wine to your door within an hour to see how far we’ve come, or the fact that we rely on the very powerful mobile computer in our pockets every day to manage many aspects of our lives. However, the impact of technological advancement is also evident in the massive changes that have taken place in the delivery and consumption of ‘traditional’ media channels. Before the digital revolution, content was consumed from printed copy. Video came predominantly through TV and audio across analogue airwaves. Today, content is no longer synonymous with the platform or device on which it is read. 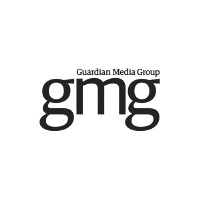 It is fluid across platforms and evolves to meet the demands of the changing landscape – changes which have affected all media, but newspapers more than most. 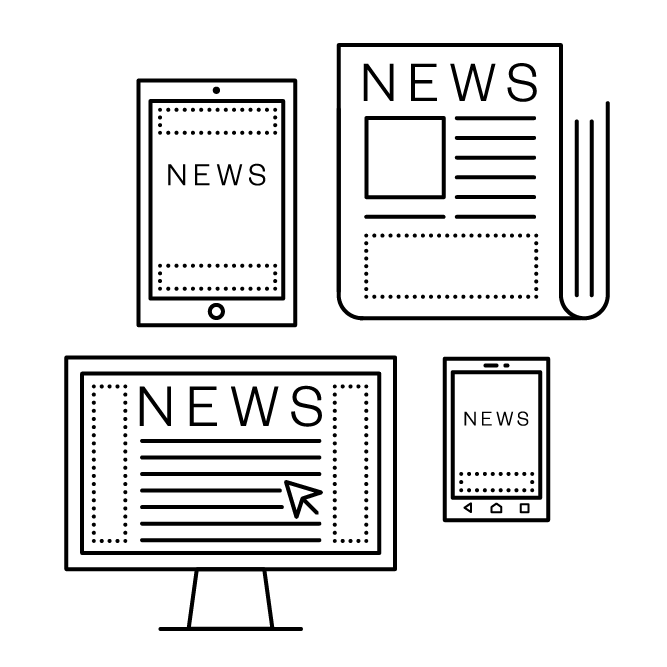 People are still forming strong newsbrand habits, but they are platform agnostic, with readers able to consume content across print, desktop and mobile devices. Additionally, users now expect content which is relevant to their interests. This has been fuelled by a huge increase in content sources and the channels through which they can be discovered. As long as the content that the user is viewing satisfies them, they care less about how they got there. more recently. 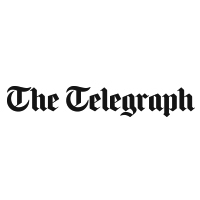 Or how about The Sun’s pioneering use of Snapchat to broaden their reach, The Telegraph’s cutting edge innovation with VR projects, or the integration of social content distribution which is prevalent across all newsbrands today. 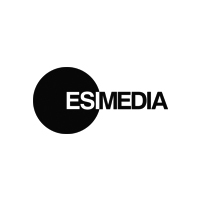 While far from an exhaustive list, this demonstrates that newsbrands are grasping the opportunities to change their offering with an agility that outstrips many other media. Because of this, the reality of newsbrands today is that their contemporary form is mobile. They exist across platforms on smartphones, tablets and desktops, as well as print. The fact that this may sound like stating the obvious is testament to how well established multi-platform newsbrands now are as part of our tweeting, scrolling, streaming world. Yet the diversification doesn’t stop there. 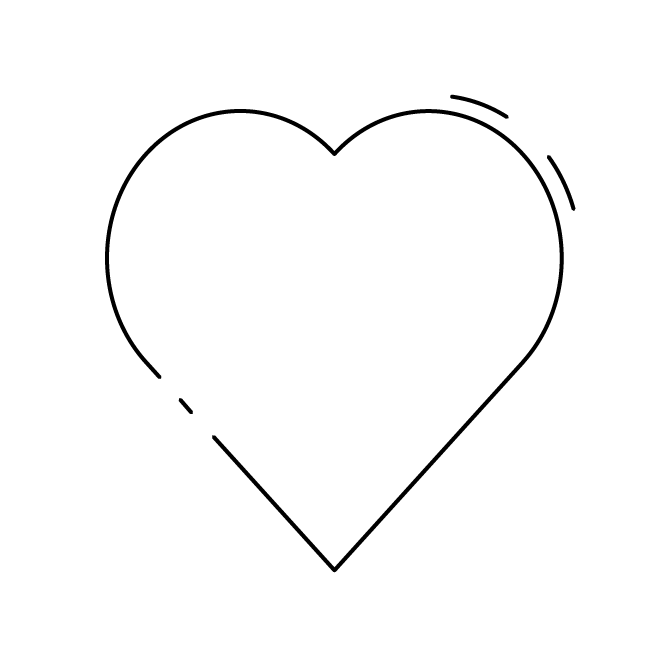 Newsbrand platforms also stretch into the realms of short and long form video content as well as events, where they create brand interactions and engage with their readers to strengthen emotional connections. 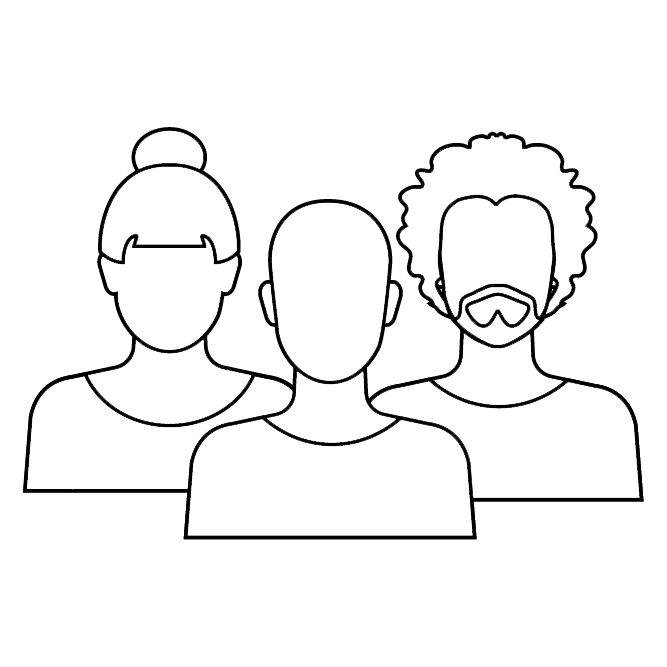 Many newsbrands have also developed loyalty programmes and data opportunities which are key areas of strategic importance and offer brands and advertisers opportunities to engage with specific segments of a newsbrand audience. Thanks to the digital revolution and the rise of new technology, newspapers can amplify their content beyond the borders of the paper page and reach bigger (and younger) audiences than was ever possible 10 years ago. 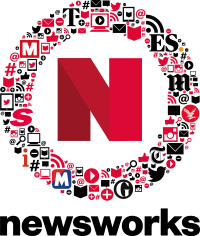 Reach figures show that the digital newsbrand ecosystem is strong. 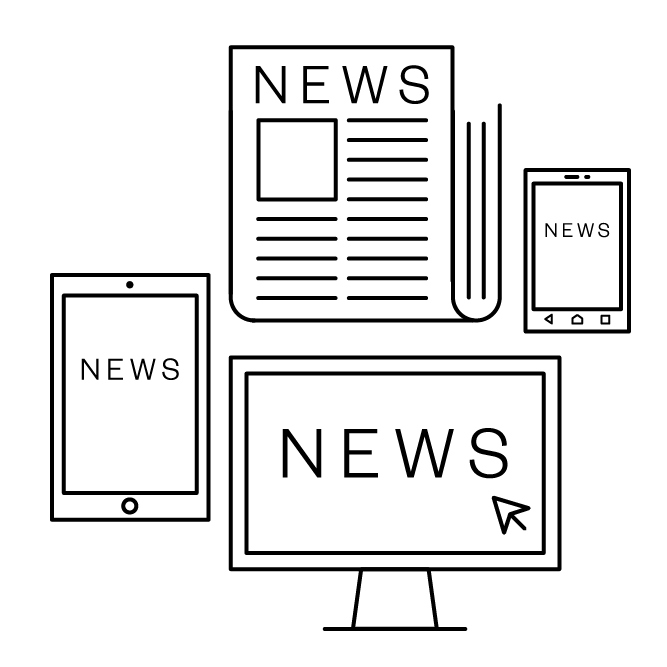 With 37million people consuming newsbrand content across mobile or tablet each month, and 15million people consuming on desktop (NRS PADD Apr 16-Mar 17), it is evident that these platforms are in rude health and are contributing significantly to the overall reach of newsbrands in the UK. 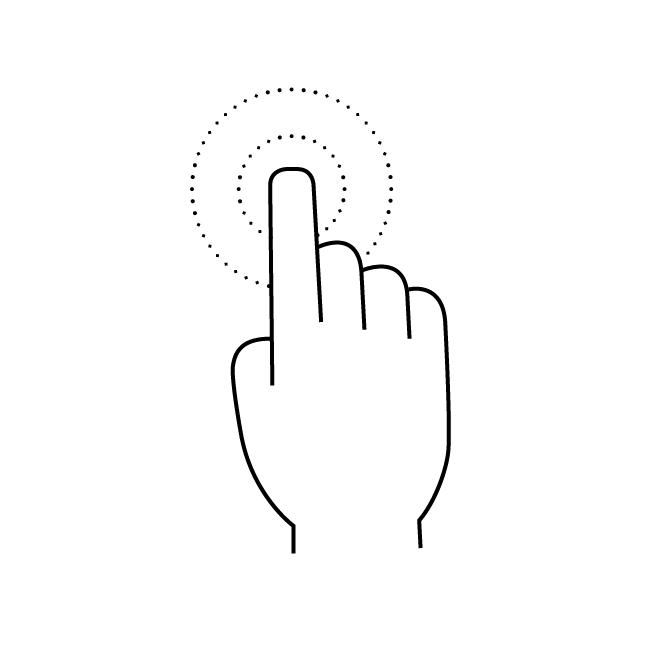 However, we also know from an eye-tracking study conducted by Lumen, ‘Paying (for) Attention’, that there are advantages provided by the quality digital newsbrand environment, compared with other non-newsbrand digital sites. While viewable ads don’t always get viewed, digital newsbrands provide a quality inventory and out-perform all other sites when it comes to attention, getting noticed earlier and being viewed for longer. The impact of site design, number of ads, available formats and relevant content on attention help to explain why digital newsbrands deliver 80% more viewable impressions actually seen than non-newsbrand sites. We also know from this research that newsbrand sites attract more in-depth attention, with double the viewing time per page than non-newsbrand sites, which in turn gives a 60% higher viewable time for ads and an average dwell time per ad that is 30% higher. This quality, high attention context provides a favourable environment for delivering longer-term business effects as well as sales. Another powerful example of the strength and difference of digital newsbrands vs non newsbrand sites is evident from Peter Field’s IPA Databank study for Newsworks, which highlights the impact they have in combination with TV advertising. 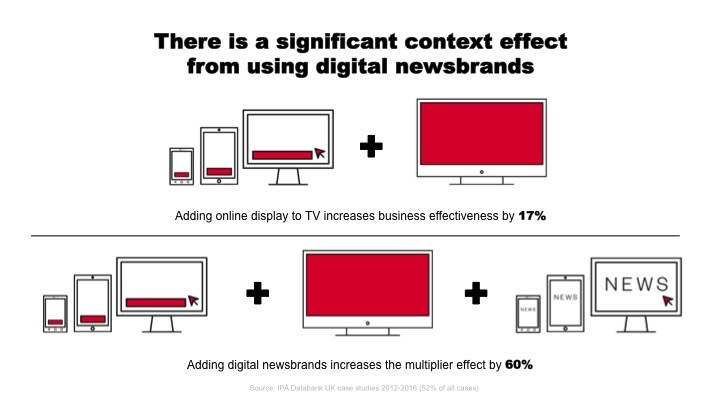 When TV is coupled with online display on sites that are non-newsbrand sites, the impact on the uplift of large business effects driven by campaigns is much smaller (17%) than when digital newsbrands are included in the online mix (60%). Given the issues surrounding programmatic ad placement, there is a strong brand health case for being much more selective in digital media. However, this IPA databank analysis suggests that there is also a very strong business case too. While this evidence is all well and good, what does it mean for advertisers and their ability to maximise ROI through effective advertising campaigns? 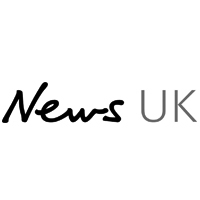 We know from the IPA Databank study that UK newsbrands have a unique advantage – both print and digital platforms perform very well in delivering an uplift in the number of important business effects. However, the combination of print and digital formats provide advertisers with a very strong multiplier effect and deliver widespread business effects brands. Campaigns using multi-platform newsbrands are 85% more likely to drive customer acquisition, which in turn drives a positive impact on market share growth (a 43% uplift vs campaigns that don’t use multi-platform newsbrands). Using multi-platform newsbrands also means that campaigns are twice as likely to deliver a reduction in price sensitivity. As a result, these campaigns are 36% more likely to deliver profit as there is less pressure to get into a cycle of price promotion in order to drive sales. In addition to these benefits, using multi-platform newsbrands results in campaigns being twice as likely to deliver an increase in customer loyalty vs. those that don’t use multi-platform newsbrands. The IPA Databank analysis also shows very clearly that newsbrands are a highly effective multiplier for other media. 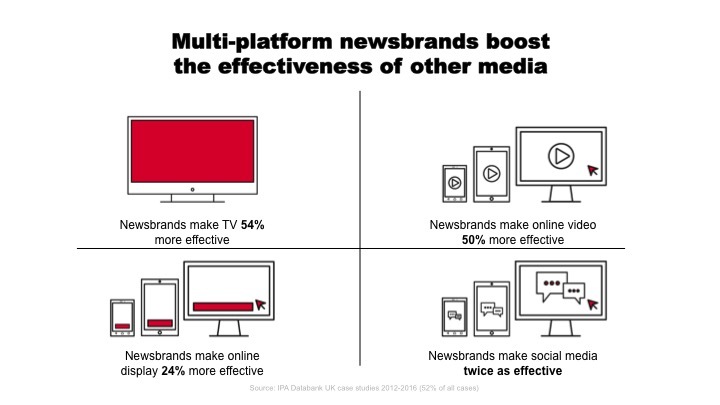 Using multi-platform newsbrands alongside TV is 54% more effective in driving uplifts in large business effects vs campaigns that don’t use multi-platform newsbrands. Similarly, multi-platform newsbrands make online video 50% more effective, online display 24% more effective and social media twice as effective. So not only do multi-platform newsbrands drive effects such as share growth, penetration and profit in their own right, but they also make other media in the schedule perform more effectively. It makes sense that coverage builds as the number of newsbrand platforms used in a campaign increases, however there is evidence that using more than one newsbrand platform delivers more than the sum of two parts. In our 2016 multi-platform brand health study with BDRC Continental, we saw that using multiple newsbrand platforms has a greater impact on brand building vs single platforms. 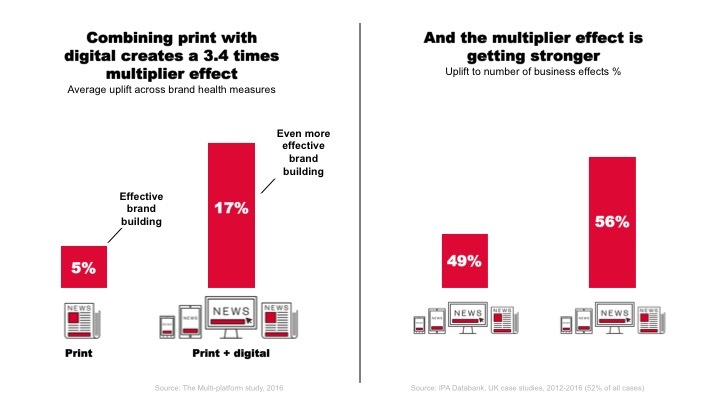 Print plus digital newsbrands produce a 3.4 times multiplier effect on brand health measures. This is almost exactly mirrored by Peter Field’s latest analysis of the business effects delivered by newsbrands. Using both print and digital newsbrands in the campaign mix delivers 3.5 times the uplift in very large business effects than using just one platform. And the multiplier effect is growing. Just looking at data from the last two IPA Effectiveness Awards (2014-2016), we can see that the impact of using both print anddigital more than doubles (+56%) the uplift in business effects compared with campaigns which don’t use newsbrands at all. This is 7% points higher than when looking at the broader time period of 2012-2016 (49%). Historically, the industry planning tools available to us have been limiting in terms of enabling accurate, cross platform reporting. It was for this reason that Newsworks developed a ‘multi-platform ready reckoner’. The purpose of this was to combine audience size, multi-platform readership patterns and impact on brand health measures, in order to show the projected uplift among the total newsbrand audience for campaigns on each of the platforms and platform combinations. Newsbrand readers represent about 90% of all adults. As we can see in the chart above, a print only campaign will reach 73% of the audience – and among these readers the average impact on brand health measures will be 5%. 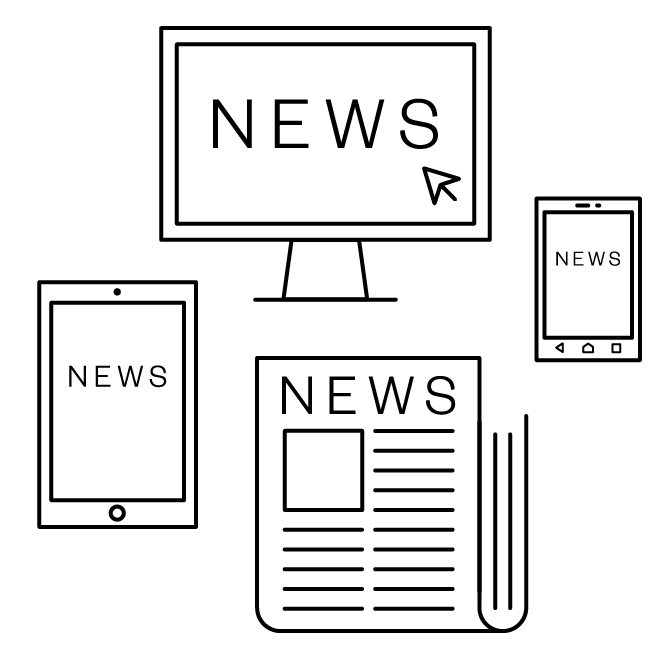 But not everybody in the newsbrand audience reads print, so the overall impact will be an uplift of 3.7%. 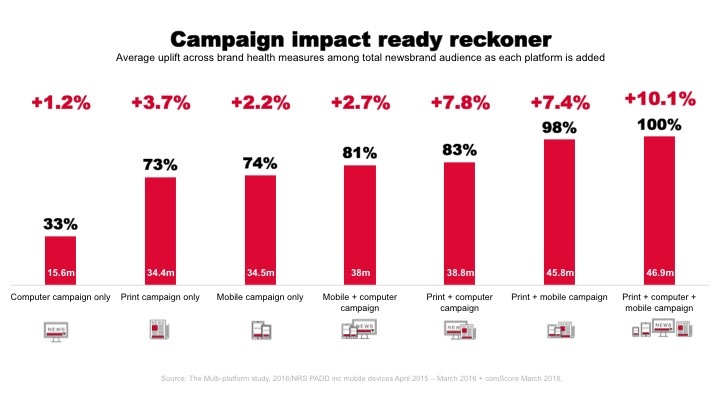 By adding computer and mobile, a campaign will reach 100% of readers and also benefit from the multiplier effect – so brand health measures are anticipated to increase by just over 10%. Whilst the ‘ready reckoner’ uses relatively crude data and should only be used as guidance, the launch of AMP (Audience Measurement for Publishers) – the new audience measurement service superseding NRS – will see a more robust approach to cross platform measurement for the publishing industry. 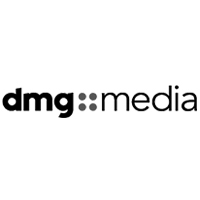 The data available within AMP will enable planners to define de-duplicated reach and frequency across all newsbrand platforms – mobile, tablet, PC and print – as well as define the reach of multi-platform newsbrands more accurately than we can currently. 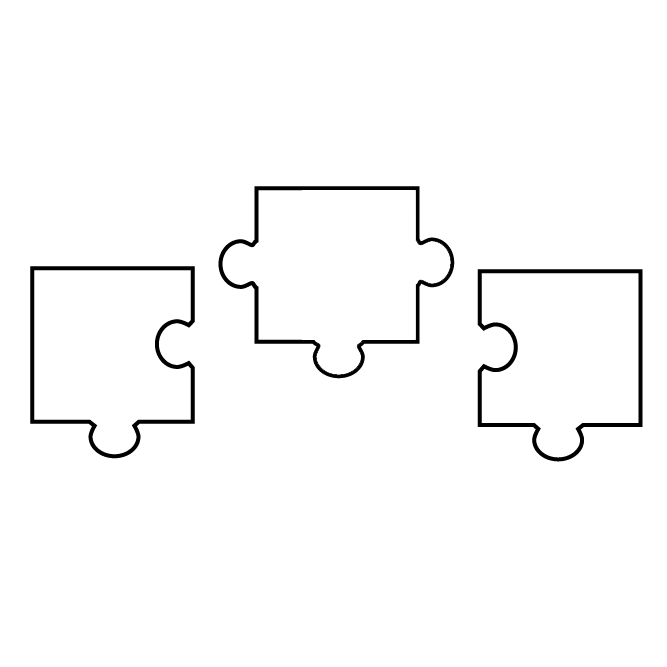 It will also provide single source data to understand how audiences move between platforms. 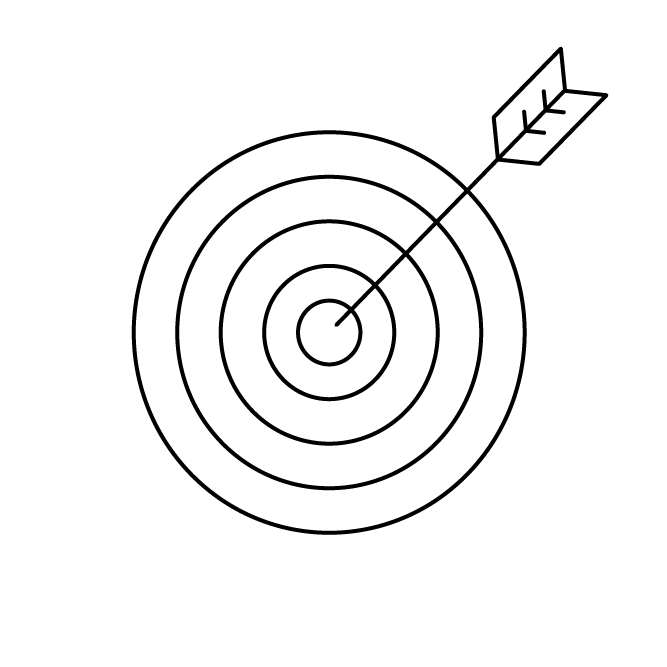 AMP data will fuel the IPA TouchPoints service, which informs strategic planning. It will be incorporated into planning bureaux, such as Kantar Choices, IMS Clear Decisions, Telmar and Mediatel for implementational planning purposes. So, it’s clear that newsbrands have embraced the changing ways in which people are consuming professionally published content and appreciate that this will continue changing as new technologies arise and people adopt new behaviours. A multi-platform focus is central to newsbrands in terms of creating an uplift in reach among a broad demographic, while it also has a positive impact on the ability of newsbrands to drive increased effectiveness across campaigns and deliver increased value for brands. 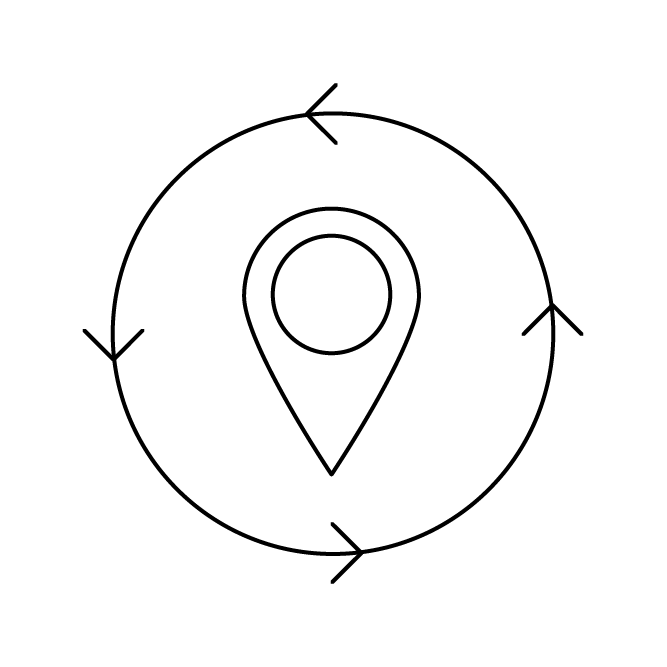 Given that the industry’s measurement and reporting tools are going through an overhaul – to keep pace with the multi-platform world that we live in – cross platform planning will become much more robust and delivery much more transparent to the planning community, which is a significant move forward in itself. 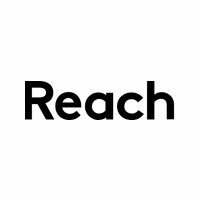 For more information on multi-platform reach visit our The market. For more information on AMP and its roll out, head to the PAMCo website.